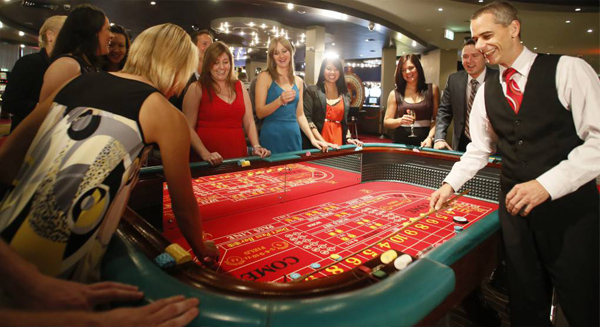 Set in the iconic outback of Alice Springs Northern Territory, Lasseters Casino is the primary destination for a lasting legacy of entertainment excellence in Central Australia. An integrated resort that offers existing gaming options at its international standard casino with tables and electronic games, Lasseters Casino also features the Sports Lounge which features TAB and Keno facilities and screens with live racing and sporting events. The Casino's latest Diamond Lounge, a VIP gaming lounge and bar area, promises an exclusive experience for VIP gamers. Lasseters Casino complies with the Gaming Control Act of Northern Territory and ensures strict adherence and responsible gaming so as to provide maximum entertainment with minimum risk to its guests. For more information, please visit www.lhc.com.au.